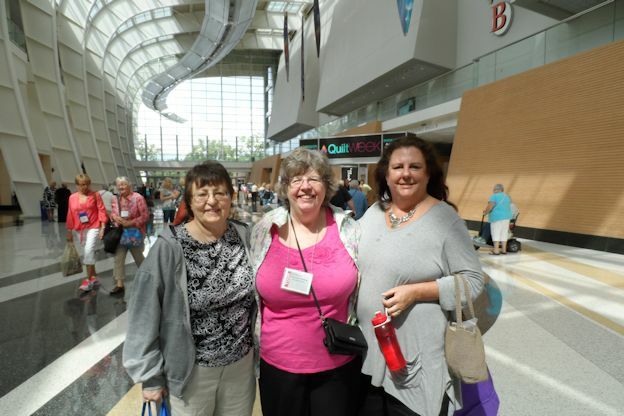 First and foremost the best highlight from the AQS GRAND RAPIDS QUILT SHOW 2013… I met up with Gretchen and Carole W !!! These are Internet / Twitter friends who I have been conversing with. We had a lovely meet up … ate lunch, viewed quilts then SHOPPED. What could be better? 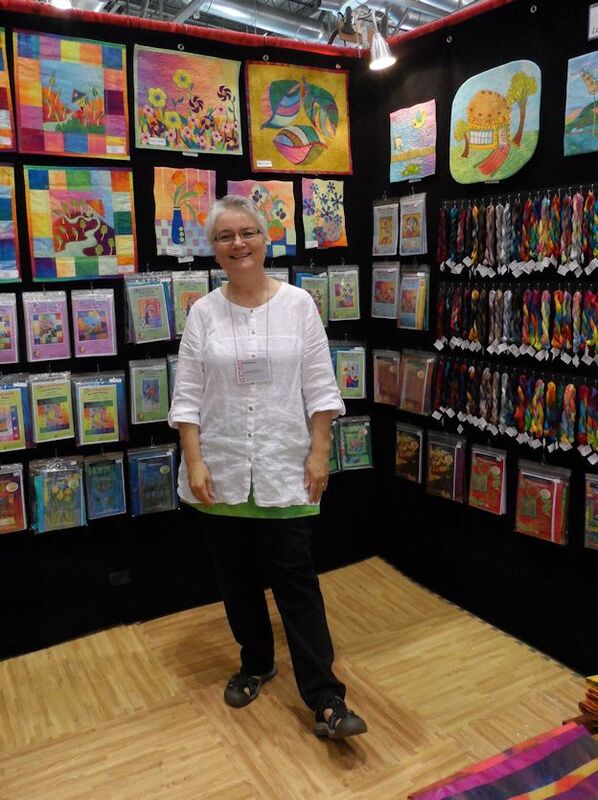 I got to meet LAURA WAZALOWSKI ( ?sp) in her booth. I have her wonderful DVDs and have seen her on THE QUILT SHOW. She was delightful and I got to take her picture. I hope I am not letting the cat out of the bag but Gretchen bought tons of Laura’s threads to make a doily … it will be one wild doily. 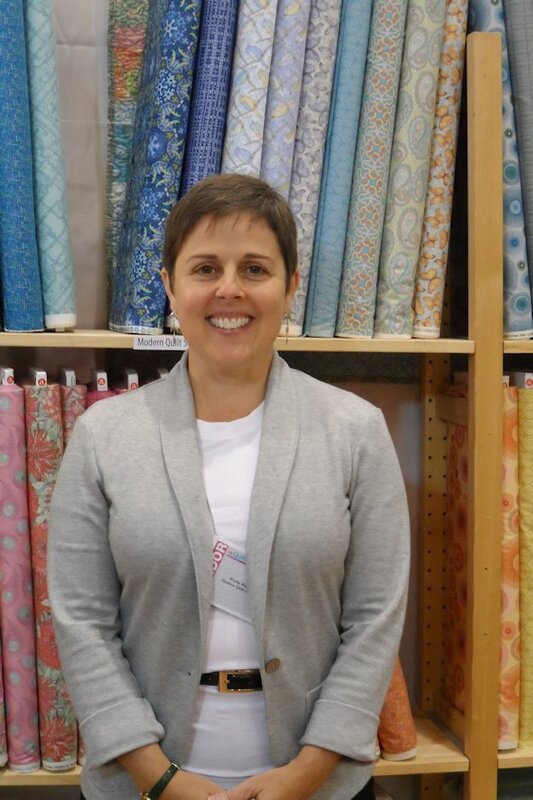 I got to meet Weeks Ringle one of my favorite quilt bloggers. 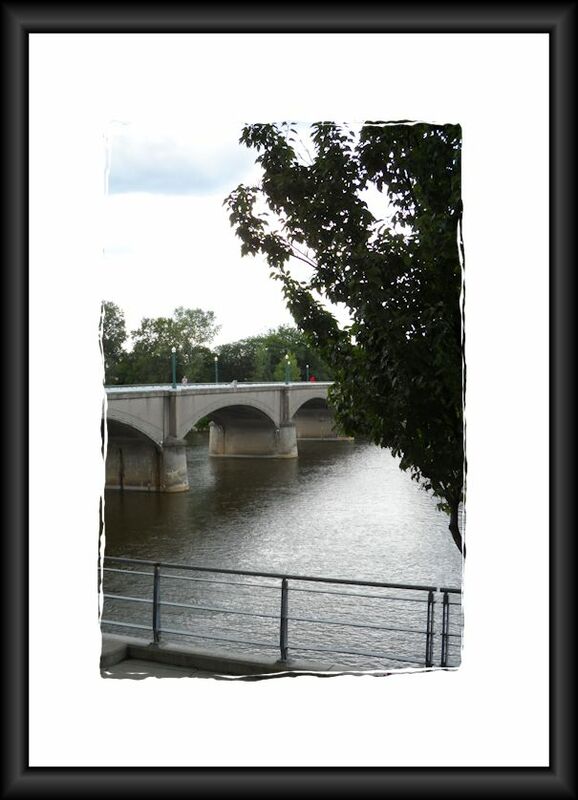 I met her husband Bill Kerr last year at this venue. I have all of their books, including KIDS learn to Sew which I gave to my 12 year old niece. I have taken Weeks’ Craftsy Class and learned a lot from it. 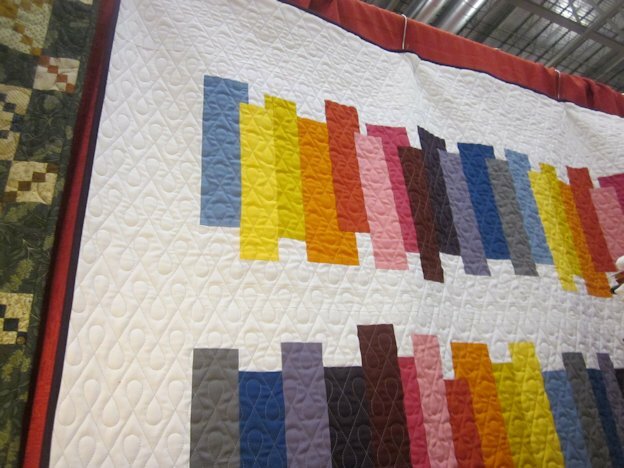 I love the Modern Quilt movement and I think that is where my quilt ascetic is going ….. MODERN QUILTS from TRADITIONAL FABRICS…. I have been using my stash to make the modern quilt patterns that are much more geometric and graphic in nature. Many of the quilt patterns I really like are from WEEKS RINGLE and Bill Kerr’s books. So I was really happy to meet Ms Ringle. 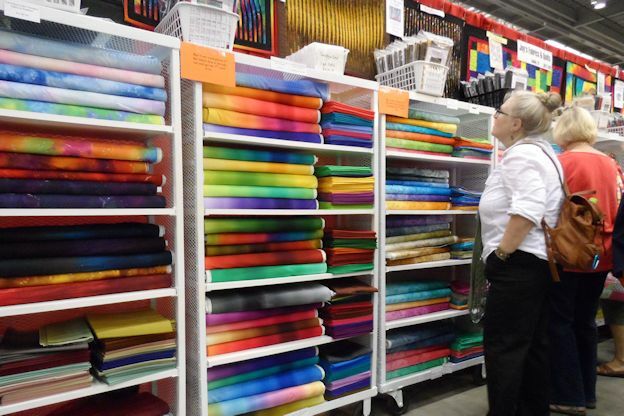 AQS does not allow pictures of the quilts but I did sneak some pictures of fabric. I also bought some quilting tools but I plan to blog about them after I have a chance to use them. THIS IS THE BOOTH THAT DID THE MOST DAMAGE TO MY POCKET BOOK. 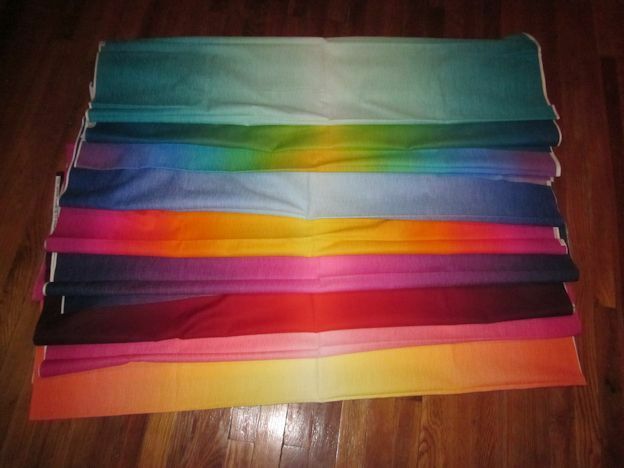 THEY had the most beautiful ombre fabrics all kinds of colors all kinds of styles… most from the best fabric designers. I had such a hard time getting out of the booth with only the one set of fabrics for my niece’s quilt. I went back on Thursday and bought some more. 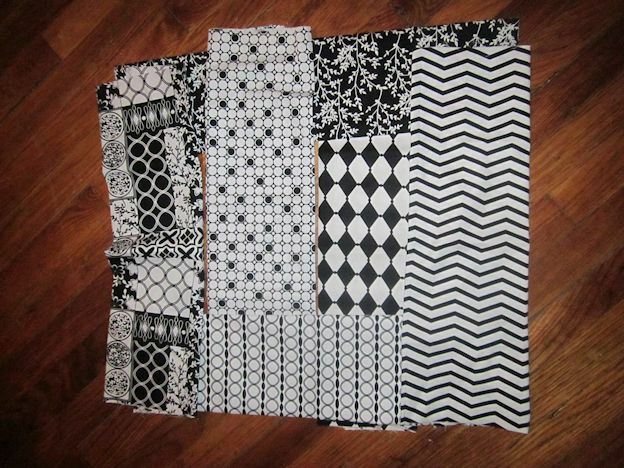 I bought some bolt end cuts for a really good price cause a girl can not have to much black and white fabrics. 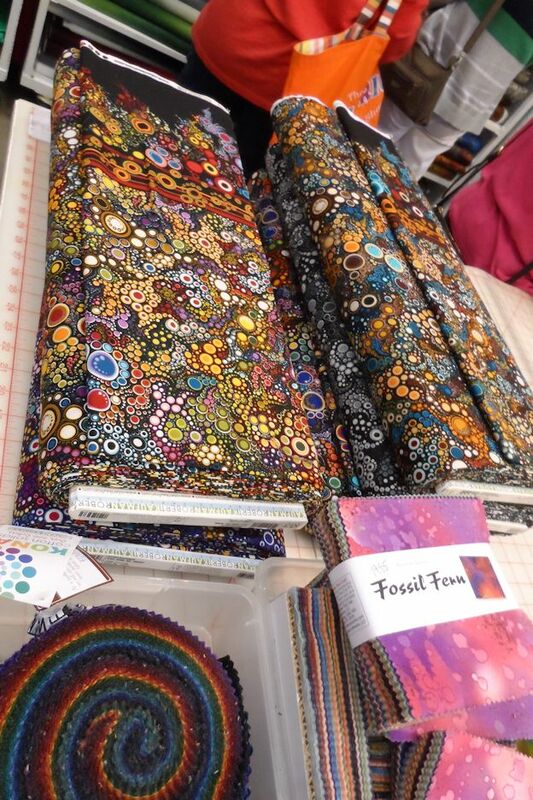 Besides I NEED to replenish my stash and I did not have any of this fabric in my stash… THAT IS MY STORY AND I AM STICKING TO IT. I am pretty sure this is the patten I am going to use. The booth was only selling kits but I am pretty sure I have this pattern at home. I saw this fabric in multiple colorways and I really wanted some… but I RESISTED… WHAT a good girl am I …so economical. 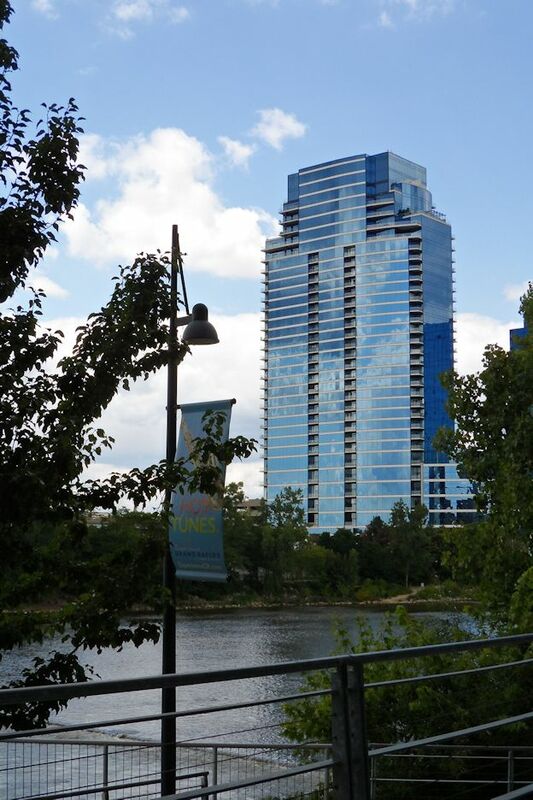 This blog would not be complete with out the pictures from the back balcony of the DeVoss Center, where the quilt show was held. Wasn’t it a lovely view? I am putting this reminder to myself here cause I am on vacation and will forget if I do not. But I think YOU might like the information too.